Tonight's game between the US national team and its Panamanian equivalent was a perfect example of how to play in the World Cup Qualifiers. Start fast, play defensive and hold on to a favorable score and points. Tonight was also the third game won by the USA in a row, a first under Klinsmann and also abroad. Graham Zusi scored his first goal in only his second cap, proving that the US has plenty of talent in MLS. It was an opportunistic strike in the 8th minute and one that kept Team USA ahead on the scoreboard throughout the game. The offense was quite lively in the first half, with Wondolowski getting close to scoring the second for the US and an active and efficient Loyd-Shea partnership on the left wing. Bunbury was largely quiet but did have a couple of close shots. Jermaine Jones took several long range shots, one of which almost served to set a Wondolowski goal. The defense was tested better than against Venezuela and if it hadn't been for Nick Rimando's heroics, then the scoreboard would have been 1-2 or 1-3 in favor of the "Canaleros." Parkhurst and Cameron looked particularly vulnerable through the middle and the latter was forced into making a tactical foul that resulted in his expulsion. And yet that is the mark of a good defender: to give up your space on the field to keep your team ahead. So, more of Geoff Cameron in the future might be intriguing. The biggest lesson for this largely-novice group of players was the intense negative atmosphere of a Concacaf venue. If this had been a real qualifier, then three points abroad brings the team three steps closer to the World Cup. These are the kind of games needed to gain experience ahead of a new qualifying round and Klinsmann has been quite smart in setting up games abroad that widen the scope of US Soccer in a way that hasn't been done before. As the announcers said during the game, this was the first friendly against a Concacaf team outside of the US since the early 1990s. So, way to go Herr Coach. On to Italy with our "A" team. A forgettable match for non-die-hard fans. A moment of redemption for a USA original: Ricardo Clark. 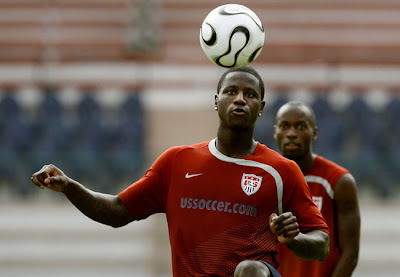 We may remember him from the World Cup 2010 round of 16 game between USA and Ghana. In that match, an early yellow card for Clark meant he had to be restrained in tackles later in the half. This allowed for Ghana's first goal, as he was out-muscled by Boateng. But today he scored a last-gasp goal in the 97th minute in his first match since that fateful day. Clark wasn't the lone bright spot today. Geoff Cameron was especially impressive in defense. Feilhaber also enjoyed a good showing and expressed why he should still be in the conversation for the US midfield. Graham Zusi and Brek Shea had their moments, with the latter displaying sporadic instances of brilliance. In the attack, Wondolowski showed why he may well be on his way to becoming a supersub. He may not be as fast as Agudelo or Altidore or be a possession player like Ching, but he has a good instinct in the penalty area. He was close on more than one occasion, and if it hadn't been for the Venezuelan goalkeeper, Wondo may have scored the game-winner. We didn't however, get a longer look at CJ Sapong. Bunbury did well but had extended periods in which he did not see the ball. Not much else can be said about the defense or the defensive midfield. Jones did well in his outing as a captain and the yellow card let us know that yes, he's still being Jermaine Jones. Venezuela hardly tested Hamid so we didn't get to see why Klinsmann holds the DC goalkeeper with such high regard. A month ago I wrote about the "Donovan vs Dempsey" competition. Who is the better player? Well, I think there are waves of talent in life when you are struggling, and others in which you are anything but. Now Dempsey is truly the king of US Men's soccer as Donovan hands over the baton in amicable manner. And how does Dempsey do this? Well, as a midfielder, one usually doesn't score as many goals as forwards. As a midfielder/forward this becomes more possible. For the second time this month, Clint has scored a hat trick. His first was in FA Cup action. His second came in the Premier League today against 5th place Newcastle United, winning the game for the Cottagers 5-2. It is the first hat trick for an American in the Premier League. Dempsey continues to write history. By now mainstream America must know that David Beckham has signed a new two-year contract with Major League Soccer. Becks will remain an LA Galaxy player until the sunset of his playing career. And all of us, whether critic, fan or sympathizer, are thankful for it. Why do we feel this is positive for the league? Endurance. Beckham has the name and the appeal to transcend into pop culture like no other player can. Sure, Landon Donovan made a name for himself, as did Abby Wambach and Hope Solo. But pop culture favors Beckham and you can't buy that any other way. For the sport he still has plenty to offer. Beckham is competitive (his yellow card sum is impressive), has vision (Donovan's game-winning goal at MLS Cup 2011 started with Beckham), and also has the magic "bend" to his free kicks. He will prove insrumental if the Galaxy are to be successful in the Concacaf Champions League this spring. Having both Donovan and Keane back means the team's attacking spine remains intact. In the end, Beckham's decision was as much about family as it was about the love for the sport. In America a new niche has finally coalesced around soccer from the Pacific Northwest to the entrance of Philadelphia, Toronto and Montreal, and to the building of new stadiums all around the country. The league, admittedly, no longer needs him. Portland, Seattle, Vancouver, Toronto, Kansas City and Philadelphia sell out regardless of his presence. But, in the end, his continued commitment is a major win for the league to continue growing all the way until the 20th team is unveiled in New York. Thank you, David, for helping us grow the league and the sport in this country. Donovan goes on loan to Everton, George John to West Ham, Omar Gonzales to Nuremberg (injured), trials and training stints for Adu, Agudelo, Shea, etc. Pattern? Yes. 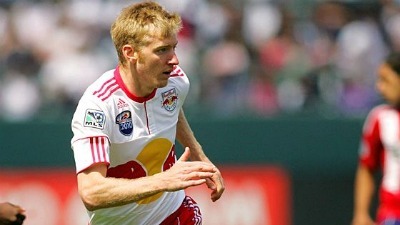 Now comes word that up-and-coming Tim Ream could be headed for Bolton (current team of Stuart Holden) and that they might swoop for Philadelphia's Le Toux. And that's the real kicker here: talent from the league isn't just for American players. Now teams in Europe are beginning to pick up individuals that have grown in stature while playing in the American league. Freddy Montero (Seattle), for one, has been linked with multiple moves to Europe, as has Joel Lindpere (New York). This upswing in general interest for MLS players is a good sign for the league and for the development of soccer in the country. These players leave at increasing prices every year, thus enhancing the economic viability and prosperity of the league. It is also a sign that more players abroad are looking to MLS to further their careers on their way to bigger checks and stardom abroad and within their own countries. There have been instances of individuals that join MLS briefly before crossing the Atlantic. Michael Bradley is one such example. Major League Soccer appears to be at a crossroads at the moment. It is a growing league (Montreal joins this season) that continuously searches for talent abroad (Joao Plata in Toronto, Diego Chara in Portland). It also bleeds out significant players every year. But then again, so does every league. MLS just needs to learn to cope and evolve. There was once a time when the name "Eddie Johnson" signified the future of American soccer. Today, after 8 months of inactivity due to injury and being out of contract, his time as a potential player for Puebla FC of Mexico's Primera came to an abrupt halt. Lack of fitness and pace doomed his entry to the team and Puebla refused to sign him. This after shunning an MLS return during the summer transfer window. As a youngster with the U-20 USA team, Johnson scored 23 times in 25 games during 2000-2001. He soon caught the eye of Bruce Arena, then manager of the US national team. Johnson scored 7 goals for Team USA during the World Cup 2006 Qualifiers and cemented his spot as a forward in Germany 2006. 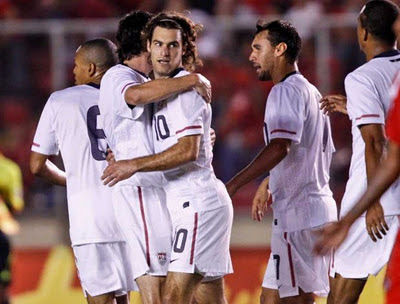 He would make two appearances at that tournament and also helped the US win the Concacaf Gold Cup of 2007. His playing career started with FC Dallas of MLS in 2001 where he was an outstanding attacker amassing 24 goals in 84 games. He transferred to Kansas City in 2006 and scored 17 goals for the team before a blockbuster transfer to Fulham FC of the English Premier League. This was the team of Kasey Keller, Carlos Bocanegra and Clint Dempsey. A Team America in the Premier League? So it seemed until Bocanegra and Keller exited and when Johnson failed to impress. Johnson was loaned out to Cardiff City for the 2008-2009 season and played 30 games, scoring twice. He became a journeyman, a-la-Adu, when he transferred to Aris Salonika of the Greek League. He scored on 5 occasions for the Greek team but his contract was not extended. Another loan to Preston North End and brief, goal-less times with Fulham concluded in a termination of his contract with his parent club at the close of the 2010/2011 season. Eddie Johnon had all summer of 2011 to search for a new home in Europe. It did not materialize. It could have been a return to his homeland with MLS but he pulled out of an agreement late in August and thus remained in limbo during the closing months of 2011. No one heard of him until a possible deal with Puebla surfaced earlier in December 2011. Would this be a new beginning for Johnson? A revival like DaMarcus Beasley has been able to attain with the same team? No. And for all the wrong reasons. Johnson is in danger of becoming a cautionary tale in US Soccer. He is now in a worse position than Freddy Adu was. Adu remained confident and humble at the same time. He was unafraid to rejoin the MLS ranks. Johnson had been in personal decline since his time at Aris ended in 2010. Never recovering both mentally and physically from journeying through Europe at a time when worldwide competition and expectations surpass most player's attributes. It is sad to see this once-promising young talent slowly fading from view. His decline came as a whimper, not a crash. He will now need to revive his career by joining a team in the lower leagues of US Soccer, perhaps at the NASL or even the USL. Blatant, shocking, to some, were his views about MLS. The league is likely not to pick up on his services while he reconditions himself. There is a certain mentality to playing abroad and the right conditions at the right team to continue player development. Altidore had to learn this the hard way but his age and international play served him enough to earn a contract with AZ Alkmaar, where he has flourished this past season. Dempsey never went to a bigger club and is happy making history at Fulham. Even Donovan found it hard to play abroad when he tried in Germany. It wasn't until he was mentally ready that a stint with Everton in 2010 brought light that yes, he can cut it abroad. Not all contracts in bigger leagues mean player growth. Sometimes it's just as good to remain home, cement your place with the national team and enjoy playing with the stars at the FIFA World Cup. Just ask Donovan, Ricardo Clark or Sacha Kljestan.